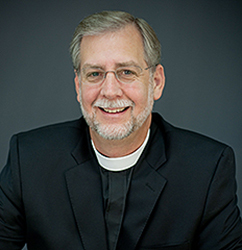 This is both a challenging and an exciting time to be a leader in the ELCA. Together we face many challenges and questions about how to most faithfully be the church in rapidly changing, sometimes incomprehensible, contexts. As people of the cross, we know that every challenge, every question is an opportunity to see God at work rending resurrection and offering new, abundant, and lasting life to the church and the world. In fact, as a leader, I have come to believe that a primary task is to both assist the church in facing current realities and to begin looking for and getting on board with God’s work of healing, hope, and reconciliation right in the very midst of them. This is gospel work. It’s a privilege, honor, and joy to work alongside other leaders and with the whole people of God as servant leaders caught up in the wind of the Spirit to get where God is taking us in the name of Jesus, crucified and risen for the life of the world. Who do you know that might have the gifts and passion to take a few steps forward in this servant leadership?